Last year may have been a “watershed” moment for world energy consumption. That assessment comes from BP’s (NYSE: BP) just released 2015 Statistical Review, which provides a roundup of the global energy picture as well as future projections of supply and demand. BP says that a “tectonic shift” is underway, and 2014 may have been the year in which we all look back and see it as a pivotal moment for energy markets. Global supplies continue to climb, and the U.S. has produced a massive amount of oil and gas from shale. OPEC is producing at elevated levels and so is Russia. Non-OPEC energy, largely made up of US shale, has undermined the influence of OPEC, a shift that could last many years. An era of energy abundance could be here to stay. 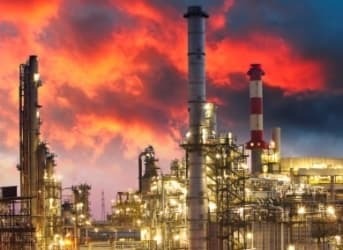 In a separate report, the International Energy Agency (IEA) says that global demand is picking up in response to lower oil prices. It revised upwards its expectation for demand growth this year by 300,000 barrels per day. It now expects the world to consume an additional 1.4 million barrels per day in 2015. However, the agency did not say that demand growth would be sufficient to spark a major rebound in prices, citing ongoing excess in supplies. Fresh data from the EIA is raising more questions than answers. In a monthly report on drilling productivity, the EIA predicted that the U.S. would see overall oil production fall in July by about 91,000 barrels per day, after falling by nearly as much in June. The report confirmed that a contraction is proceeding steadily. And weekly EIA data shows that the depletion of crude oil inventories in the U.S. is picking up pace. For the week ending on June 5, inventories dropped by 6.8 million barrels, the most in months. That suggests that production is slowing and demand is picking up. Related: Oil Prices Responding Positively To Bad News, But Why? But then there was one little nugget that sort of muddies the whole picture. The EIA says that oil production actually increased by 24,000 barrels per day last week, on top of several prior weeks of production gains. So which is it? Is production falling, as the EIA’s drilling productivity report says, or is it increasing, based on weekly data? No one knows and it is confusing investors and traders. We probably won’t get a clearer picture for several more weeks, once more solid data comes in. But the predicament demonstrates that the markets are often driving by looking through the rearview mirror at past data. Royal Dutch Shell (NYSE: RDS.A) is rumored to be mulling over pulling out of a project in Ukraine, as the violence and political standoff shows no signs of abating. It signed a production sharing agreement with the Ukrainian government to develop shale gas, but that was before the situation blew up a year and a half ago. Now Shell says that the conditions on the ground for the project have “materially changed” and it may be unable to carry out any work .That could end the prospect of shale gas development in Ukraine for years. Last year Chevron (NYSE: CVX) also cancelled its plans to work on shale gas in Ukraine. Canada’s west coast just got a bit of good news, however. Malaysia’s state-owned oil and gas company Petronas has decided to move forward with a massive LNG project on Canada’s Pacific coastline. The $30 billion Pacific NorthWest LNG facility will allow for the export of natural gas to Asia. Petronas had temporarily shelved plans for the project late last year, but the province of British Columbia has since announced more attractive royalty terms in an effort to incentivize investment. If the facility is constructed, it will be a major milestone for Canada’s natural gas industry, which will obtain access to a massive market for LNG. Chevron finished up its “largest-ever” seismic survey off Australia’s southern coast. The Great Australian Bight is the target, an oil play that BP has called “pretty much the last big unexplored basin in the whole world.” Chevron could pour $500 million into exploration to learn more about the bounty that might reside just off Australia’s coast. BP also has drilling plans, set for 2016. Brazil is moving closer to an energy reform package that would open up its pre-salt oil for greater private investment. The state-owned firm Petrobras has, up until now, been the only company allowed to be the sole operator and investor in the pre-salt, but legislation working its way through Brazil’s Congress would change that. Allowing other companies to come in and take the lead would not only reduce the financial burden for Petrobras, still suffering under the crushing weight of its debt load, but it would also likely contribute to an accelerated timeline for development of Brazil’s pre-salt, as private companies with more capital could potentially move quicker.